Rather than using a trim for the bottom, I opted for a trim along the sleeve edges. 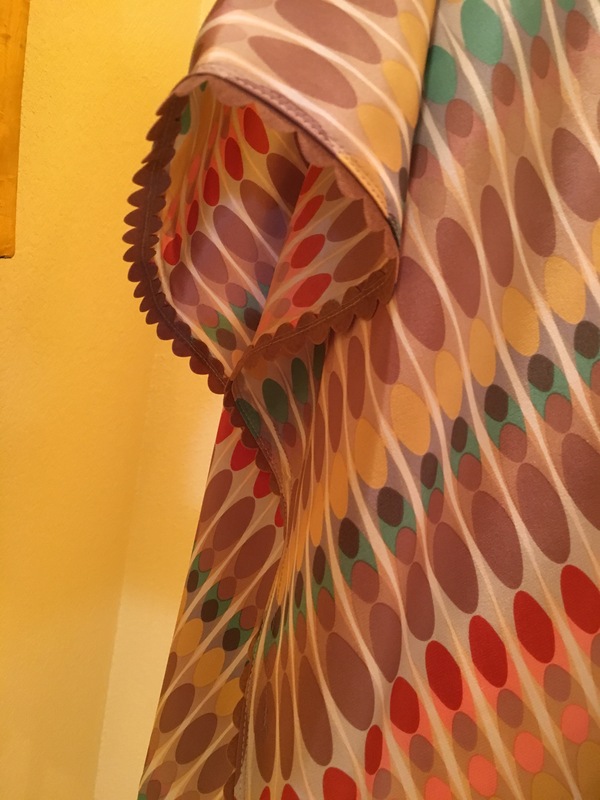 This pattern is so versatile that you could make several versions and they would all be different depending on the type of fabric and trim you use. You could also cut a longer piece than the original instructions call for, to make a longer finished tunic. Just remember to double the amount of length you want to add since your fabric panel is both the front and the back. I used a trim at the edge of the sleeve/side. 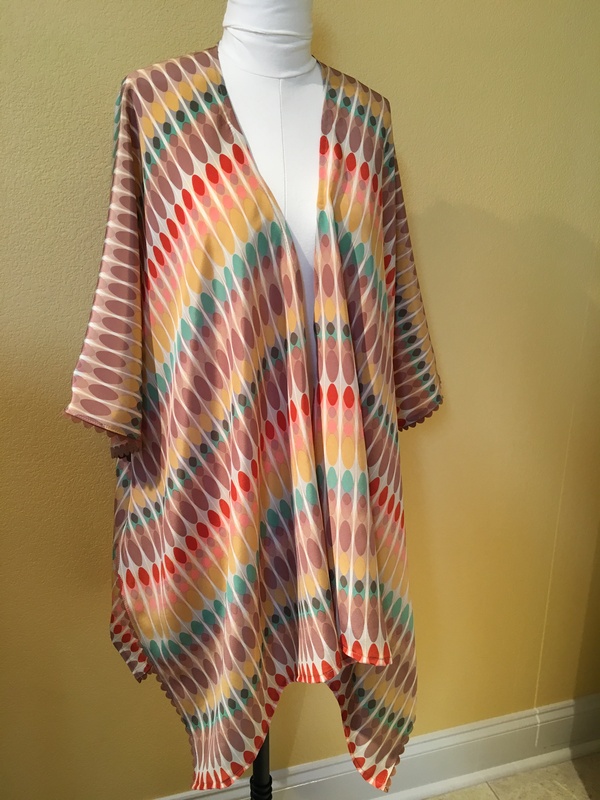 The hardest part to this pattern to me was the edge around the neck area. Since it is a curve that you need to turn in twice to create the narrow finish, you may find it helpful to clip. 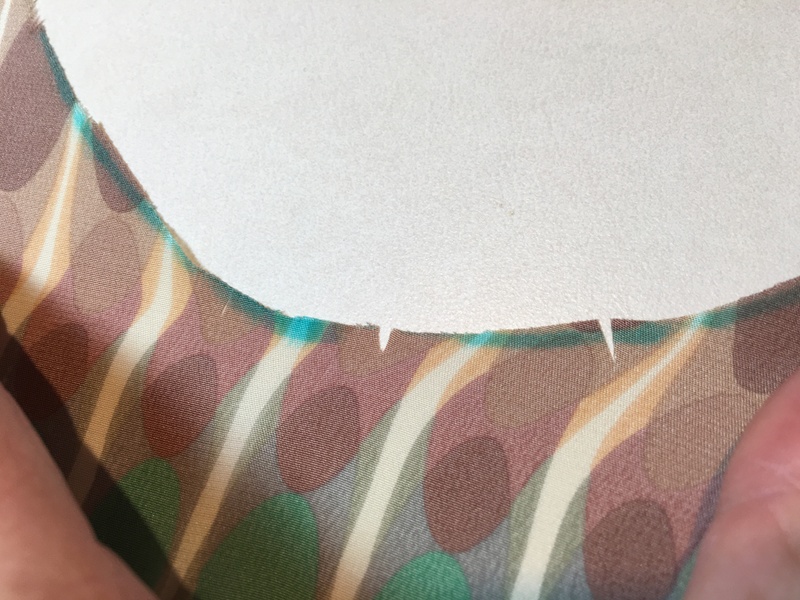 Be sure, however, that you create very shallow clips so that you do not create a raw spot in your finished edge. Use very small clips in the curve around the neck. Take your time pressing and pinning the edges. 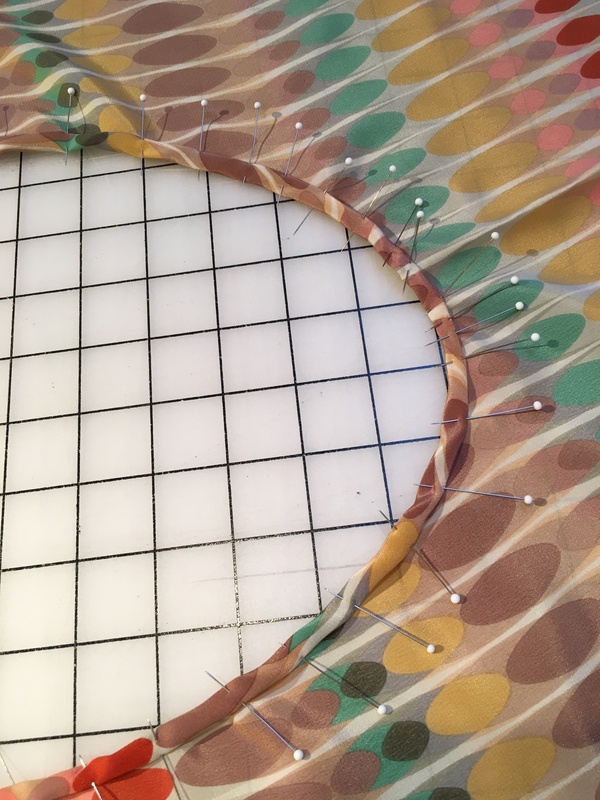 I found it helpful to use plenty of pins, especially on the curved neck area. This is a simple pattern, but remember that “simple for the experienced sewer” does not mean a pattern and instructions are suitable for an inexperienced sewer. If you are new to sewing, don’t try this one just yet. The slippery fabric will be hard for you to handle, and the tedious narrow hem will be frustrating. But, we have other posts and patterns here on our website for beginners, and we will soon begin posting our Beginning Sewing video classes. We are “in production” for our video classes right now (which means we are taping with an iPhone, throwing away a lot of outtakes, and learning to use iMovie). Stay tuned!